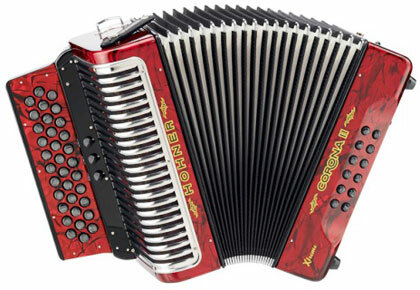 Gilbert Reyes of Reyes Accordions recently shared some photos of the new diatonic accordions that Hohner will unveil at the NAMM Show later this month. These three new “Xtreme” models have 34 buttons (the standard Corona has 31) and include reed switches — three on the Tex-Mex Corona II Xtreme and five on the norteño and vallenato tuned Corona III Xtremes. They certainly seem designed to compete with Gabbanelli accordions, which have long been popular in the Conjunto/Tejano scene. Interestingly, Gilbert built his own 34-button Hohner a couple years ago by modifying an existing Hohner Corona II. I’m sure he played a role in Hohner’s decision to release these new models. I haven’t seen any specifications or pricing information yet, but I’ll update this post as soon as I hear more (probably after the NAMM Show). I’ll be interested to hear what the response is to the new Hohners. I think it’s good that they have some new models. These days I’m playing both a vintage Corona II and a three voice Guerrini with 34 buttons. They’re so different from one another to play, and both boxes have their strength. I love the character of sound I can squeeze from the Guerrini. I still love the fast action on the Hohner though – I’ve modified the button board with some felt underneath. coming on sale? we are waiting for news? 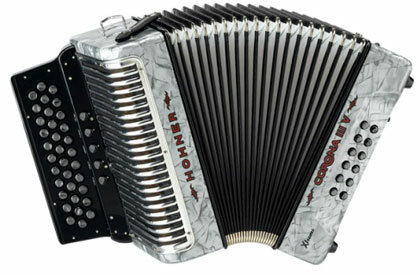 on the new hohner accordion let us know? William and Jose, check out this thread at the Reyes Accordions forums. Gilbert Reyes has been involved with Hohner on the design of these accordions and has been posting updates as information becomes available. No pricing yet, but it sounds like these new models may go into production sometime this summer. What do the ext.lll with the 5 switch retail for ? ¿ Cuánto cuestan las acordeones de 34 botones y con registros? 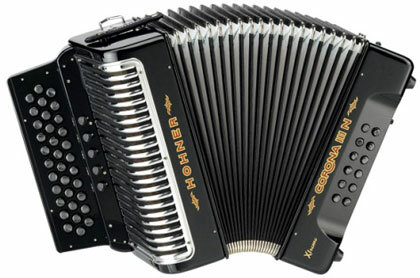 I have bought some Tejano/Conjunto accordion instructional DVDs for my new hobby. I am always looking for new ones that are very high quality and very user friendly. I am familiar with the badassaccordion instructional videos. However there is a guy that goes by “Elcesar” from California that I am trying to contact to buy some from him. I know he is on YOU TUBE. But I am wondering if anyone out there has heard of him and can provide me with a phone number or email to contact him. Wow! Thanks Joe. I was not sure if this was an active website as I had not seen activity in it in a while. I finally did make contact with ELCESAR but he is not making DVDs at this time. He informed me that he was moving to L.A. He did reccomend that website and gave me the email address this week. I am also a member of that GREAT REYES website. 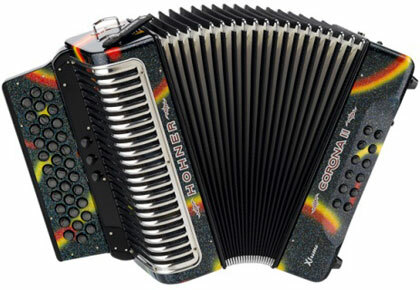 Donde puedo adquirir un accordion hohner xtreme en Mexico D.F. y cuanto cuestan?